An executive change is a chance for Apple to adjust what the company wants to accomplish with its stores. I’ve seen a lot of criticism of Ahrendts featuring aspects of the Apple Store experience that actually preceded her. No, she didn’t invent the where’s-the-line, where-do-I-stand set-up that completely breaks everything we ever learned about how to behave in a retail store. Under her tenure the approach was modified, not discarded, and in recent years I’ve noticed a more aggressive positioning of employees at the front of stores to intercept new shoppers and put them in the right place. Perhaps the biggest source of Apple Store frustration in recent years wasn’t based on any Apple Retail initiative. It was the decision to address a public-relations nightmare involving failing batteries that impacted iPhone speeds by offering a yearlong, discounted battery-replacement program. That bit of damage control flooded Apple Stores with traffic and repair jobs it was not prepared to handle. Service suffered as a result. My gut feeling is that overall, Ahrendts did just what she was hired to do. 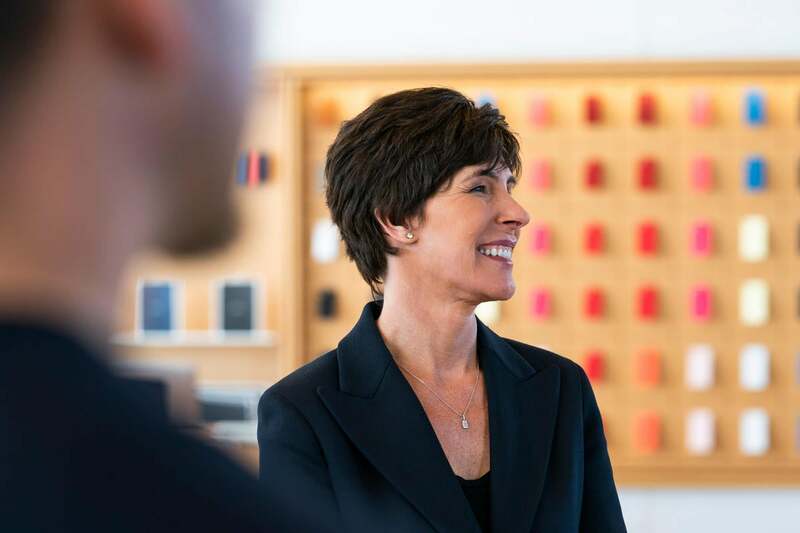 In the wake of one of the worst executive hires Apple has ever made, she provided stability and a deep knowledge of the retail world. 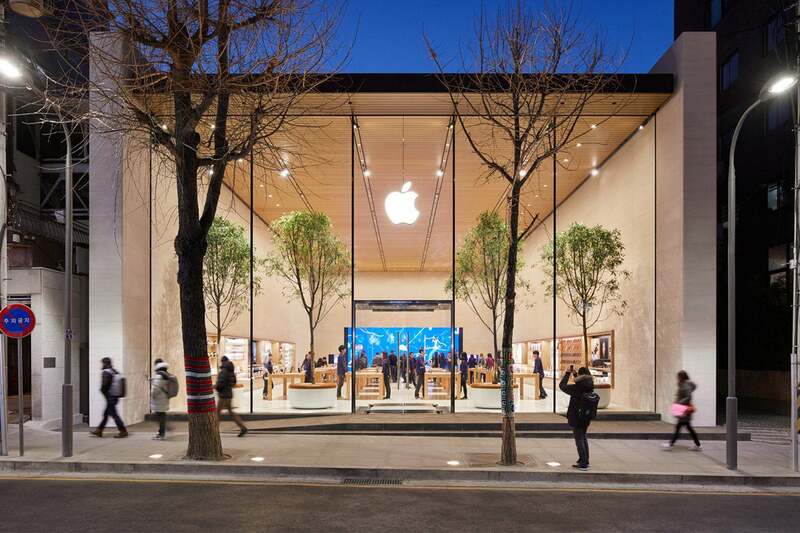 Apple has opened a new set of showcase stores in major cities with an entirely new store design. The new Today at Apple curriculum, featuring more than four dozen new courses designed to help people use their Apple devices for practical and creative pursuits, just launched and by most accounts is quite good. Angela Ahrendts was hired in 2013 to oversee Apple's retail efforts. Then there’s the Apple Watch, a product unlike anything Apple has ever made before. The arrival of the Watch forced some creative thinking in terms of letting people try on different watch models and a plethora of watch bands. If you’ve never tried on an Apple Watch at an Apple store, you’re missing out—it’s a really well-thought-out experience right down to all the hidden drawers and cleaning cloths. I’m an Apple customer whose closest Apple Store is not one of the big flagship entries but a small one in a nearby outdoor shopping mall. As spacious and impressive as Apple’s glass boxes in San Francisco, Chicago, and elsewhere are, my local store is small and crowded, sometimes unpleasantly so. The employees there smile and work hard and my experiences there have generally been positive, but between the tables of products and the benches and giant screens and the rest, it’s 50 pounds of Apple stuffed into a 25-pound bag. Deirdre O’Brien is a a 30-year Apple veteran. I hope that Deirdre O’Brien (who replaces Ahrendts) and her team can tweak the formula and find the right combination of features to make all Apple Stores—the big ones and the small ones—run a little bit better, to make Genius Bar appointments more delightful and less like going to the dentist, to make the experience of buying a new Apple product exciting and fun and not even a little bit harrowing. The fundamental functions of a retail store are sales and service. Community events and concerts and providing a feel-good public space with trees and benches are all nice, but they’re extras. Apple Retail might have gotten its priorities a bit mixed up the last few years. Was that Angela Ahrendts’s doing, or was she simply implementing the vision of Apple’s executives circa 2014? It doesn’t really matter. 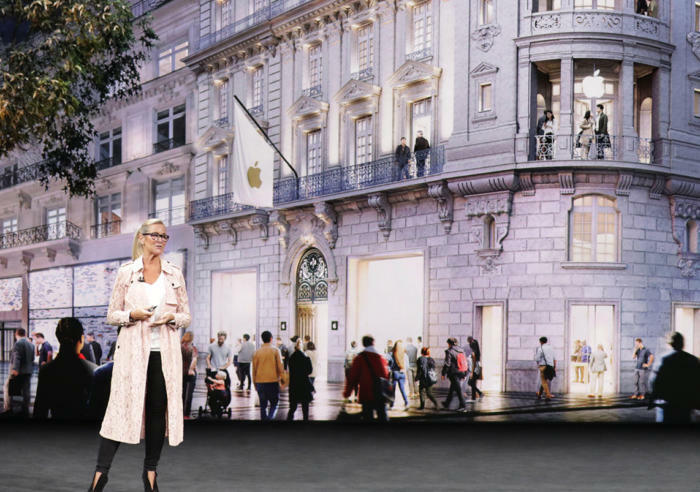 In 2019, Ahrendts’ departure is an opportunity for a fresh look at what’s working and what’s not working at Apple Retail. I hope Deirdre O’Brien takes that opportunity, and that Tim Cook supports her in making the necessary changes.